Perhaps one of the most ubiquitous manifestations of human sociality is commensality: the human practice of eating together or, to put it more exactly, of eating together in groups. Eating together is a powerful mechanism for reproducing the social values, priorities and roles of a society and is essential for the integration of a society. Indeed, it has been stated that communal meals are perhaps the single most important thing we can do for both our personal wellbeing and the cohesion of society (Dunbar 2016). 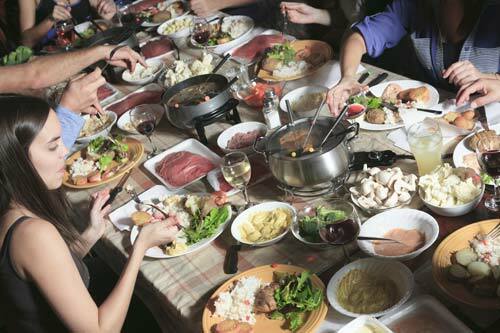 New forms of group eating practice, such as ‘social eating’ or the public consumption of surplus foods at mealtimes, suggest that group eating activities can be a socially-organising force for change. 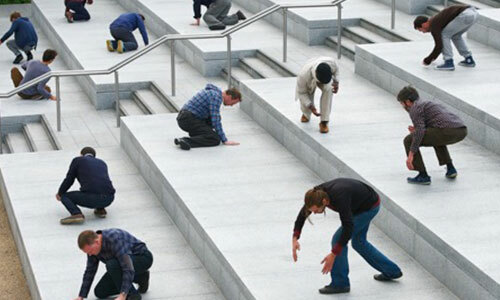 This potential for both transforming and maintaining how society is organised is of interest to researchers across disciplines. 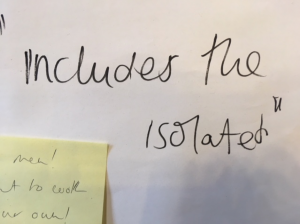 In this blog post I reflect upon my attendance at a recent conference, discussing why an interdisciplinary approach to researching emergent group eating practices, and research I undertook with a colleague from the University of York, intersects with my scholarly interests and ambitions. To convey a sense of the convivial, social atmosphere of group eating activities that we are researching, let’s start with a vignette which records a research visit to a social eating space in Nottingham. “The first thing I notice is the smell of food cooking; I can smell good food from right across the street. This is a church hall on a small side street in the east end of Nottingham city. There are no banners or signs, save for an a-board jamming the door open. However, the smell is enticing and the chink of light coming through the doorway is welcoming. The thing I notice on entering the space is the sound of people talking and greeting one another; a low conversational hum punctuated by the occasional shout from a group of children who are running into the building. We step inside and the noise levels rise, with many people chattering, greeting one another and the scrapings of chairs being pulled out so people can sit together. It’s warm and well-lit and the tables are set with tablecloths and vintage flower displays. A queue at the serving hatch begins to form. There are two meat-based meals and one vegetarian meal on the menu. A buffet of additional items, condiments and refreshments is laid out attractively on a large side table. It’s getting crowded near the hatch, with people paying a lady sitting with a bucket for the money collection. A shout rings out from the kitchen. It’s 5.07pm on a Thursday evening. “Dinner is served!”. How can we better understand the social eating movement by distinguishing the phenomena from other types of group eating practices? What are the benefits and challenges of ‘social eating’? By capturing these insights, our research can support groups, such as the Nottingham Social Eating Network, who want to amplify the benefits of eating together and encourage more participation in this practice. One way this can be achieved is to collaborate with like-minded academics and practitioners, each of whom build differing types of knowledge that can be put to work in service of the participants they research. In order to progress these ideas, conferences offer ideal sites for dialogue, discussion and networking across and between disciplines. 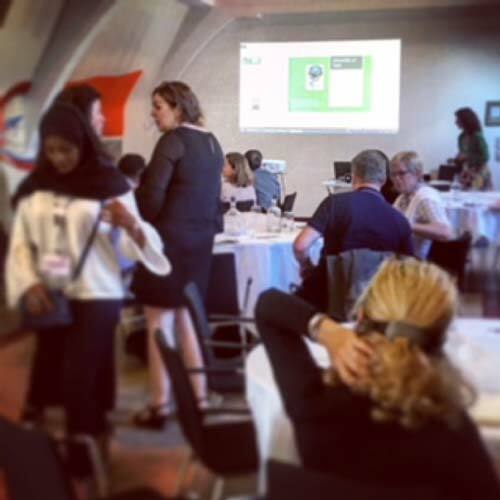 I attended the 2018 European Social Marketing Conference (ESMA) to co-present a formative paper ‘From Health to Wellbeing: Exploring the Role of Community-Based Projects’ with Dr. Nadina Luca from the University of York. This was funded by N8: AgriFood. The presentation concerned a new way of looking at the use of surplus foods by community groups. 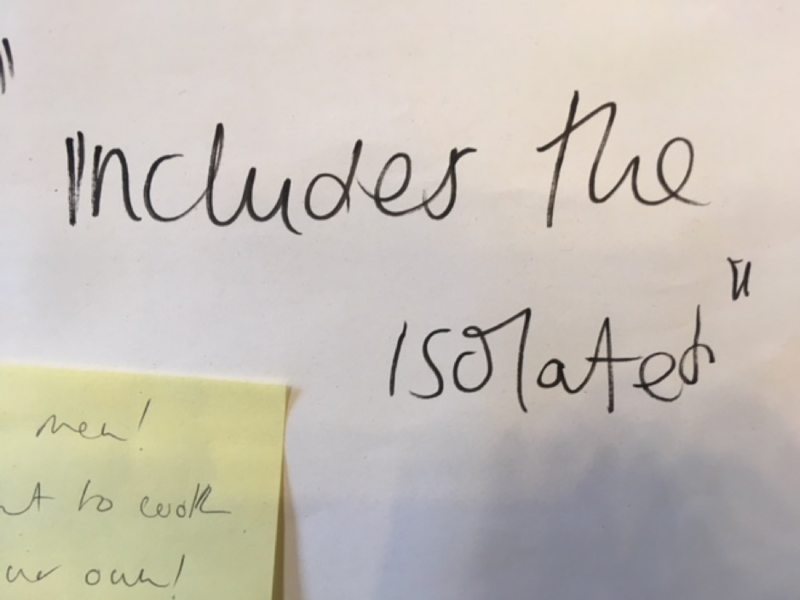 By engaging with user-groups to find out how they used and viewed surplus foods, we gained insights into the ways in which eating together in groups was about much more than food. Our formative research demonstrated that the use of surplus foods enables community groups to offer support beyond sustenance and calories, involving the purposeful use of meals and food provisioning to facilitate social connections and support. This approach called ‘food as wellbeing’ (Block 2011) encompasses the constraints and challenges of using an emergent food-stream as well as the benefits, placing individual experiences within broader connections to food literacy, food education and food marketing. This was my 4th Social Marketing conference, despite not being a ‘social marketeer’. As a sociologist who has returned to academia after 7 years of working in the social enterprise, community and charity sectors, I am drawn towards approaches that balance the scholarly, reflective side of research with tangible, practical outputs such as campaigns. Engaging with researchers beyond my discipline presents opportunities to see my own research differently and to work with scholars who have competencies that I do not have, such as campaigning and marketing skills. Social marketing is engaged primarily with behaviour-change research, interventions and evaluation to enact social transformation, just as the corresponding commercial field also utilises this range of creative, co-created techniques and technologies to sell products. This occurs through methods such as segmenting target audiences, asset mapping, developing audience insights and value-propositions. This places user-groups at the centre of designing, delivering and evaluating the social and community services they use. The discussions I have been most interested in at these conferences however, have concerned the ongoing desire of social marketers to identify and engage with the structural or ‘upstream’ drivers of individual behaviour, such as the effects of policies, geographical location, product pricing and access to resources. When thinking about ‘social eating’, this might include strategic funding agendas around health and wellbeing, ideas about the eligibility or deservedness of customers accessing community food services, the logistics and supply of surplus foodstuffs, and the social values attached to group eating practices and activities. These are all forces that influence individual behaviour but are not always apparent when we think about people eating together in groups. These ongoing discussions reflect the requirement of social marketing to encompass broader, contextual approaches in order to craft sustainable, lasting social change. Block, L. G. et al (2011) From Nutrients to Nurturance: A Conceptual Introduction to Food Well-Being, Journal of Public Policy & Marketing, Spring 2011, Vol. 30, No. 1, p. 5-13. Dunbar, R. (2016) Breaking Bread, Report on a national Survey for The Big Lunch, p5.